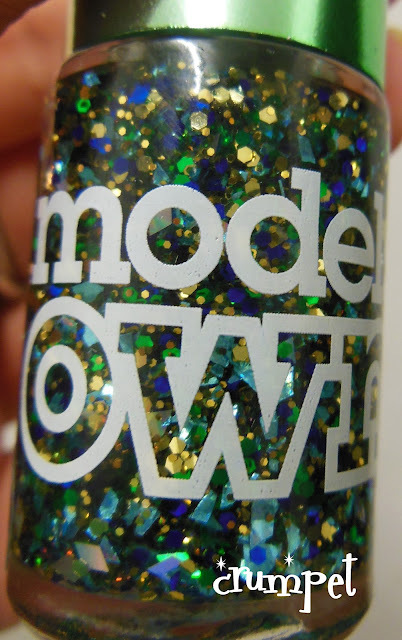 A little later than planned, I bring you the official press release about the launch of the Models Own Mirrorballs. I've also got my first thoughts about them, and my first photos - this is a feast for the eyes! 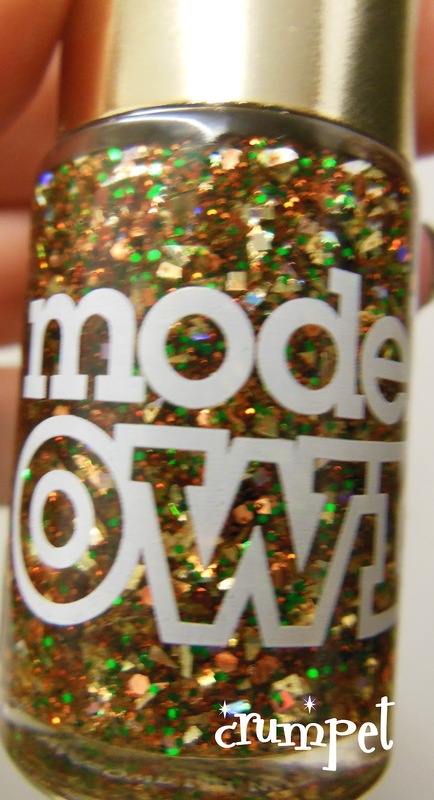 Models Own, the cult destination for of the moment nail finishes has taken over the dance floor! 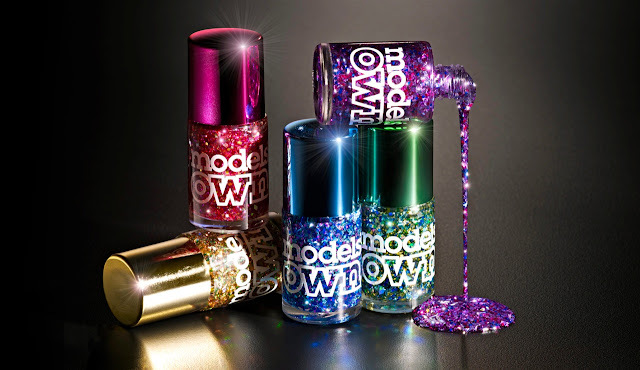 Launching their first ever collection of nail frostings, Models Own brings you the Mirrorball Collection with limited edition metallic caps. 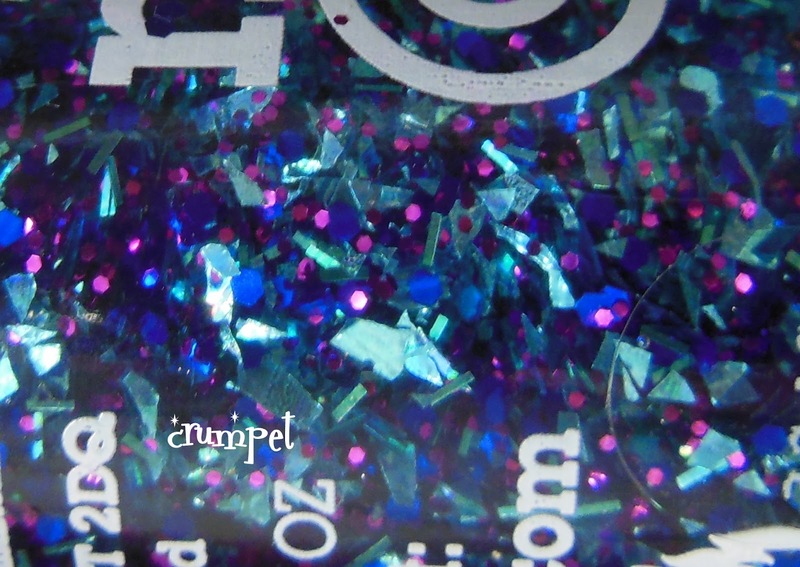 A completely unique glide on glitter that will revitalise your entire polish collection; can be worn alone or over your favourite colour polish to give a frosting finish, taking nails from boring to BLING! Inspired by classic DISCO anthems the collection has something for everyone, adding some much needed funk to fingertips. 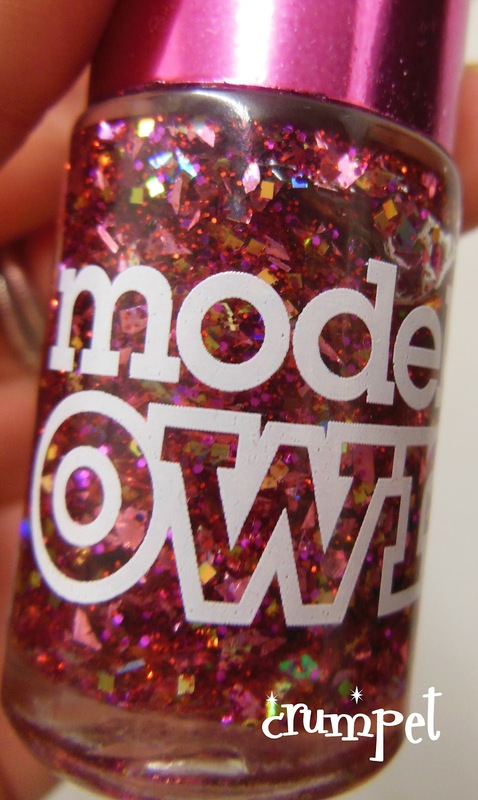 Each polish contains five different chunky colours of hand-cut glitter that are guaranteed to get the party started. 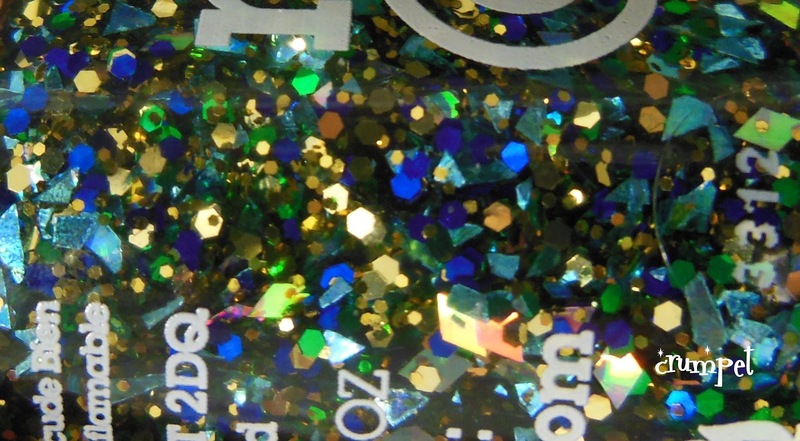 Disco Inferno, a glittery gold disco bomb; Hot Stuff, an intoxicating mix of pink and gold sparkles; Freak Out, a crystal shimmer mix of bold blue and purple; Dancing Queen, fabulous flecks of emerald, blue and gold; Boogie Nights, a multicoloured mix of intriguing purple, pink and blue. 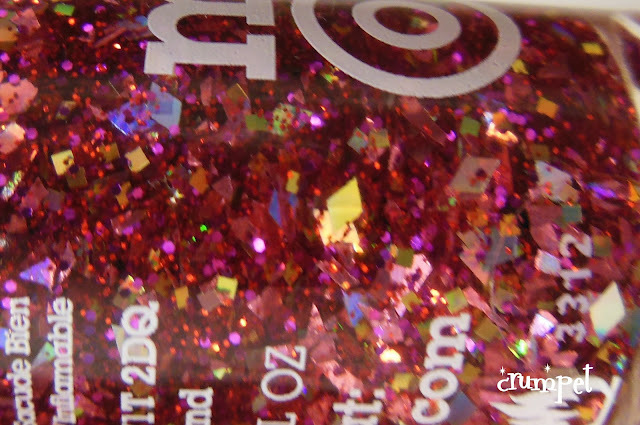 Wear separately or layer over a colour polish, match with sequin shoes and ‘Play That Funky Music’ a lá Wild Cherry. Designed to complement any outfit, Models Own’s latest collection is the perfect accessory adding the finishing touches with unique colour combinations that are ultra wearable and bang on trend. So, that's the official bit, let's take a closer gander, shall we ? In the bottle and on the nail, these polishes are absolutely stunning. For a "major" brand, this is the most adventurous glitter I've seen, with both colour and shape combinations. 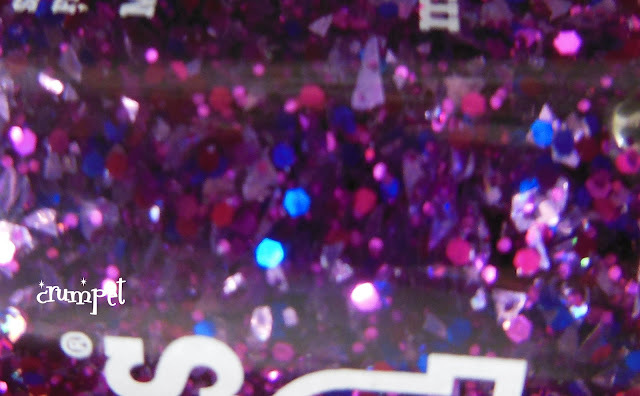 Some of the bottles are a little more glitter-loaded than the others, so you'll probably need to swipe AND dab to get good coverage. There are shards and diamonds, and they are just beautiful. To the eye. Not to the nose. 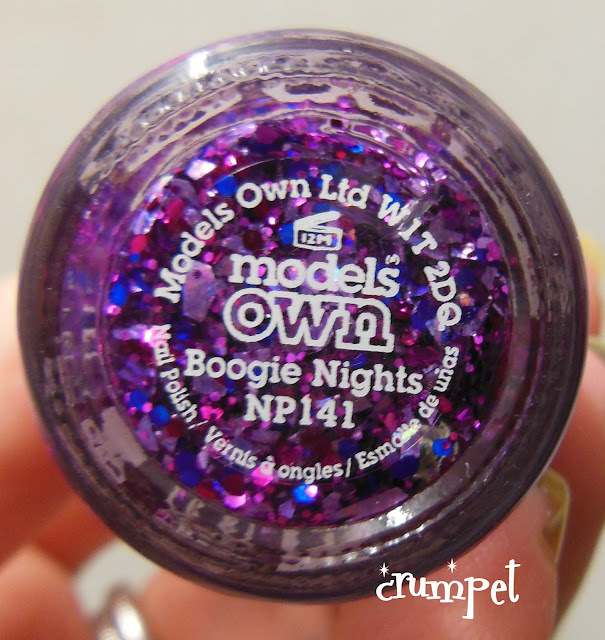 These polishes STINK. 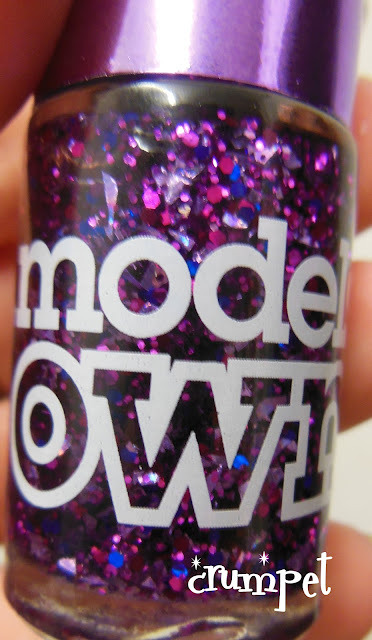 Models Own polishes always have a stronger smell because they are not 3-free, but this is KleanColor bad. Now, I do have a very sensitive nose, but enough other people have said it to make me want to warn you. If you don't mind the smell of gloss paint or wood varnish, you'll be fine. 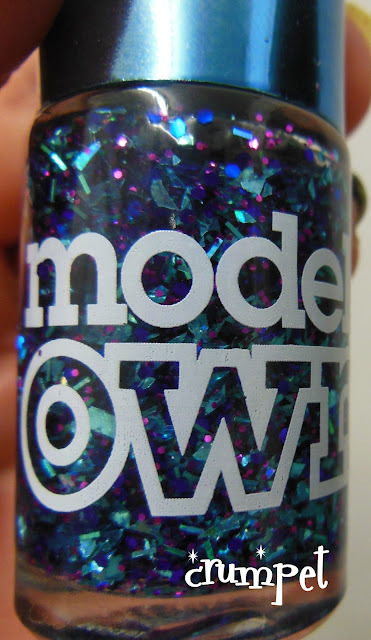 For me, with my "super hooter", I'm desperately trying to persuade myself I can keep them, despite getting a headache when I was swatching them. 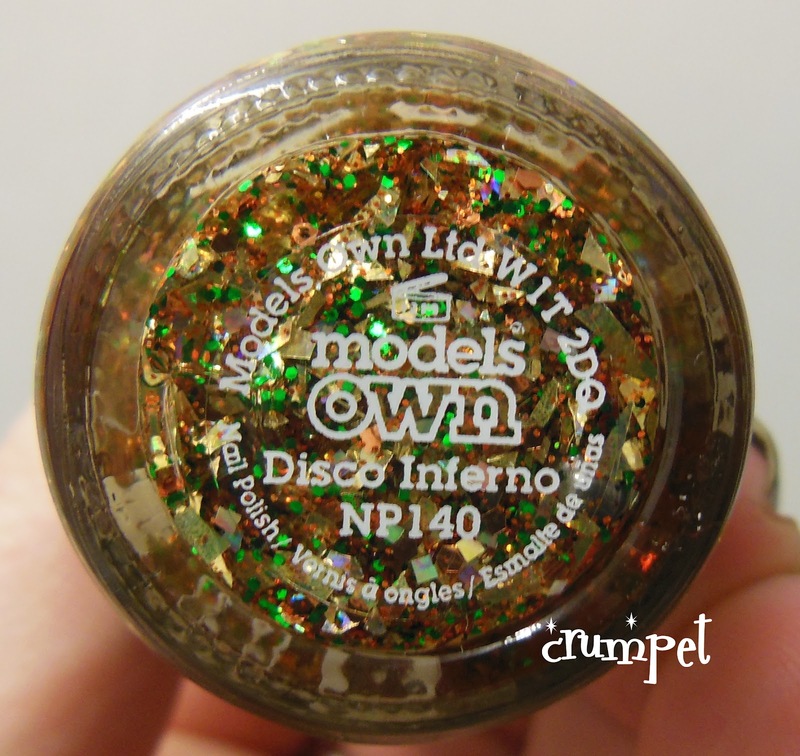 Disco Inferno. This is a STUNNER. I thought I would "like" this one, but didn't expect to love it so much. Dancing Queen - we all know I'm not a greeny, but I had high hopes for this, but this did end up being my least favourite of the 5. Hot Stuff. Hot damn, this is good! Sensational. Freak Out! 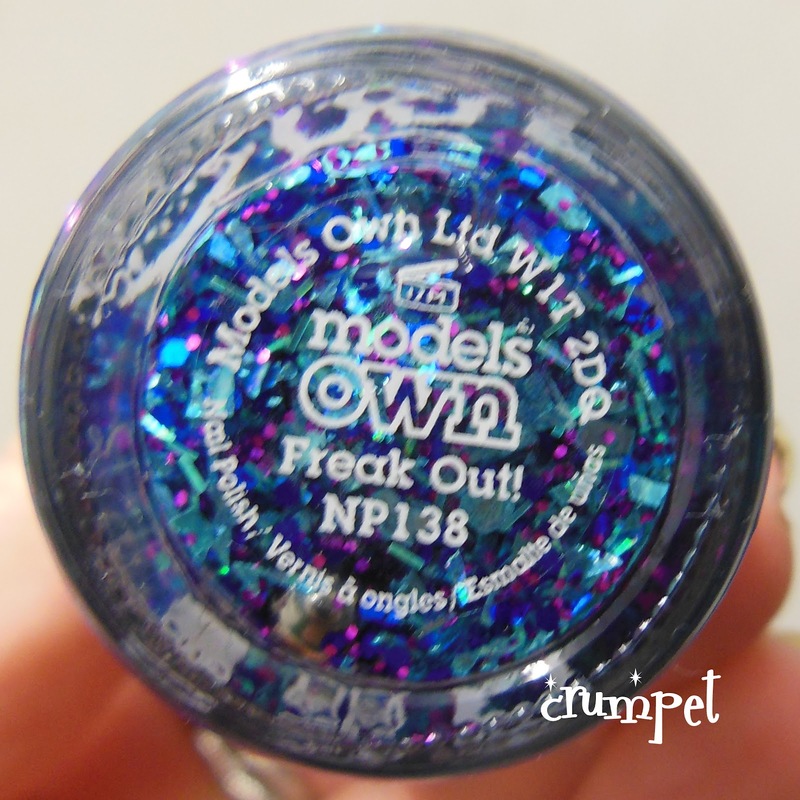 I was a little underwhelmed with this one - I think I need to try it over a darker blue. Boogie Nights. Yes it's purple, and yes I loved it the most. Stunning. 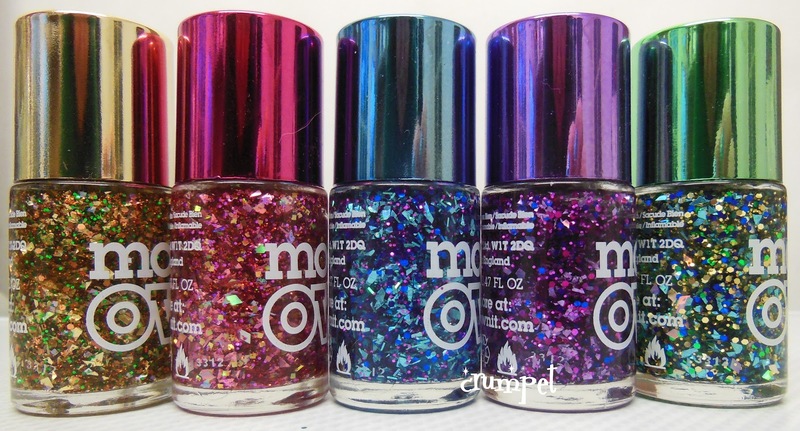 Stay tuned for the next week and a half to see swatches of all of these in action. They spotted the Barry M Gellies in the corner of the nail room and initiated their own playtime!! All of these products were purchased by me and were not sent by Models Own.